How much will *YOU* win using WinningPonies? easy to build, simple to bet, and fun to win. Change the way you bet exotics. Each week, thousands of horseplayers betting thoroughbred, quarter horse, or Arabians at 140 U.S. and Canadian tracks use WinningPonies® for horse racing handicapping – whether they're a $2 bettor placing their first exacta or a pro handicapper chasing six-figure carryovers. 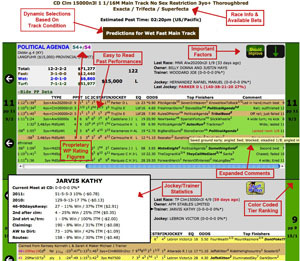 No other horse betting system has WinningPonies e-Intelligence. WinningPonies' focus on high-tech horse racing intelligence, simplicity, clarity, and ease of use makes it truly unique. For decades, handicapping exotic wagers was too complex for the everyday horse player. You practically needed a Harvard degree to place a winning bet! WinningPonies tackles exotics from an entirely different angle in this modern age: A focus on proven algorithms which scan, analyze and predict pari-mutual horse races in real time. The WinningPonies Guarantee: We pick horses that have shown they are ready to win based on more in-depth factors than our competition. Be as informed and confident as the savviest local horseplayer. 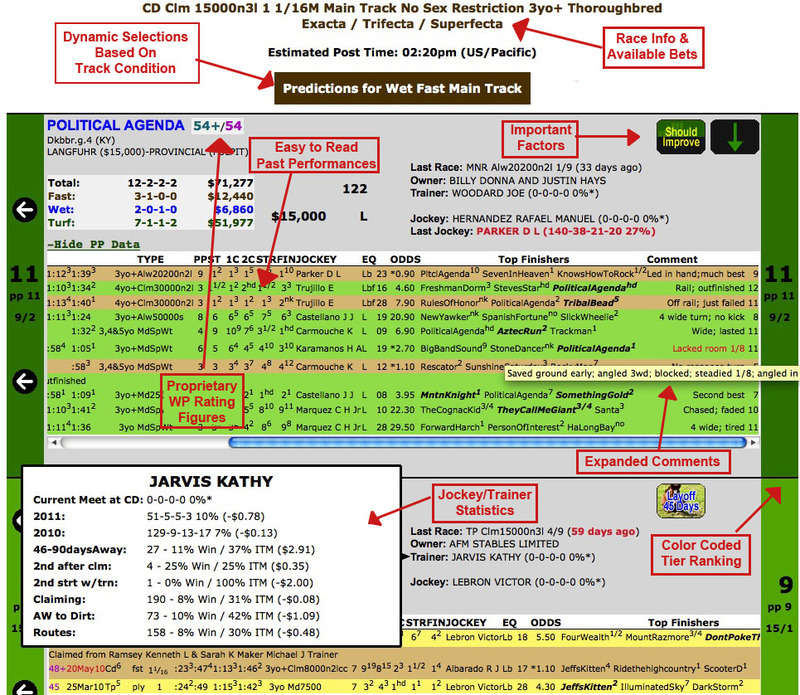 Know every angle and subtlety at over 140 U.S. and Canadian tracks. 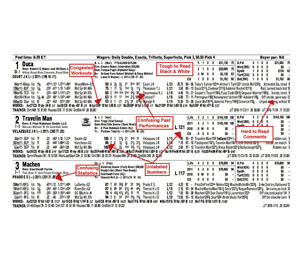 Our E-Z Win® Form changes to match real-time horse racing dynamics including program changes, track conditions, weather, and scratches – factors impossible to find in a static racing form. Get longshots you won't hear about anywhere else. WinningPonies uses proprietary algorithms to pick winning first-time starters and first-time turfers. Find surprising longshots, detailed predictions, and the most in-depth horse selections delivered in a color-coded multi-tier selection sheet. Rankings so clear, even a child – or your grandmother – can understand. Enjoy a fair purchasing system like no other. Our WinningCredits™ prorated pricing structure is unique to the industry. Currently, the E-Z Win® Form for a full 10-race card costs $10 (special events may be priced differently). Our members are entitled to volume discounts. If it's late in the day, you only pay for the remaining races ($1 per race). 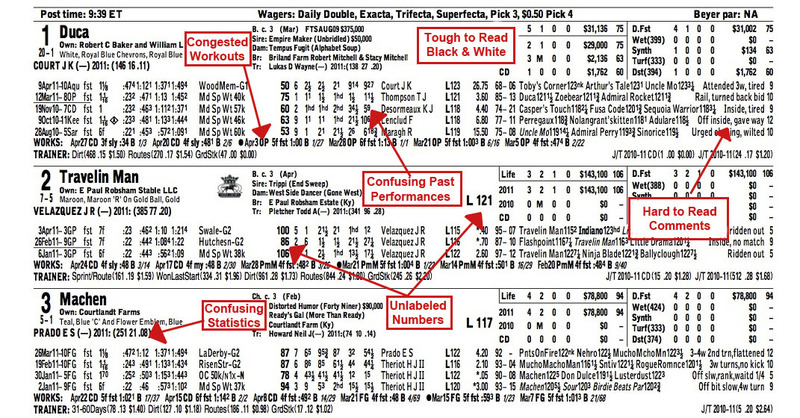 Handicapping how-to so you can bet like the pros. Pick the brains of the world's leading horse racing handicapping experts like Steven Crist and Andy Beyer, plus get industry insights from the winningest trainers and jockeys in horse racing today. 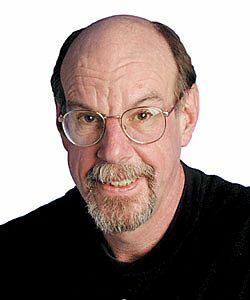 Tune into our weekly online radio show "Winning Ponies with John Engelhardt" Thursday nights 8-9 PM Eastern (or download the podcast and take it with you to the track). Anyone can listen – but only members get to call or email their burning questions. Find out for yourself why Judy Wagner, 2001 Handicapper of the Year, contacted us to say, "I love your radio show!" Hold us to our word with winning results. See a complete year of WinningPonies' past E-Z Win® Forms with integrated results and exotic payoffs. We get testimonials every week – send us yours to keep us informed of your success! Recommended by 98% of our members. In a recent member satisfaction survey, (done via Constant Contact, September 2010), 98% of WinningPonies members surveyed said they would recommend WinningPonies to their friends, family, and colleagues. We work hard to make sure our members are happy! Take to winning exotics like you were born to do it. Use WinningPonies at the track or online. Access it on your iPhone/iPad, Android & Blackberry too! If I were a betting manâ¦. Howâs the New Year Treating You ? Scroll down until you see the section labeled 'Scripting'. Under 'Active Scripting', select Enable and click OK.
Click Content Settings in the 'Privacy section'.